Are you a Rotarian or a non-profit executive director? Are you looking to serve those struggling with homelessness or hunger? Do you need help fulfilling your mission? 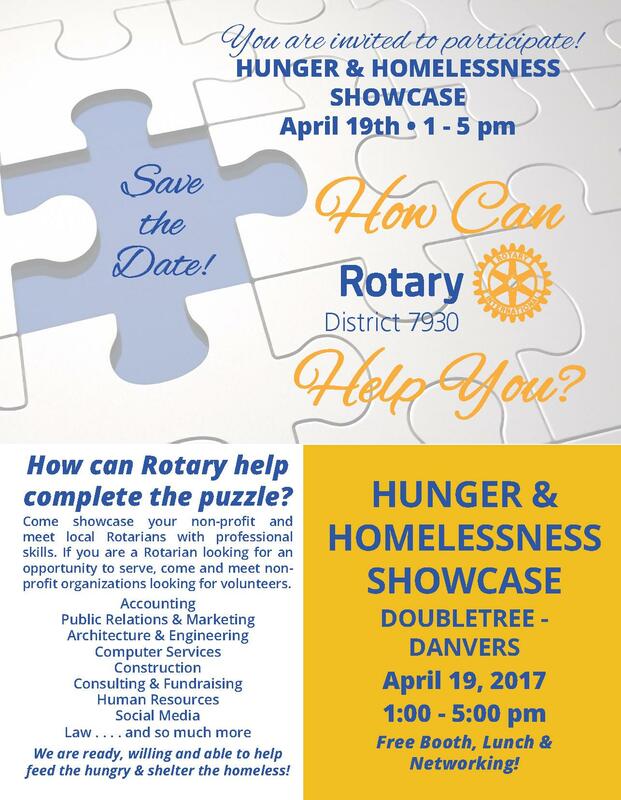 Then come to our Homelessness and Hunger Non-Profit Showcase and connect with others committed to solving these problems in our communities! Our goal is to have 20-30 organizations attend and share with us the volunteer opportunities that could be filled by Rotarians who have the professional skills and commitment to make a difference. Areas to consider are accounting, public relations and marketing, computers, construction, consulting, fundraising, human resources, legal and social media, plus so much more. Click here for the history of this initiative.